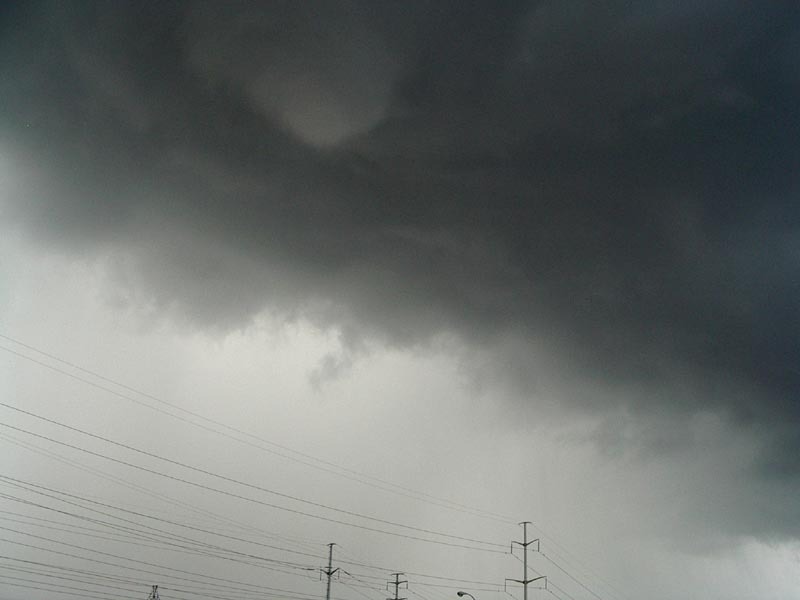 Aug.10 - funnel near Pickering @ 4:55pm - Ontario Storms Site! I submitted these shots back in 2003. I read the question regarding cold core, but I'm unfamilier with the term. Could you please clarify and I'll try to answer the question. As a weathercaster in the Canadian prairies I have seen everything from paralyzing snowstorms to F2 or F3 tornadoes. 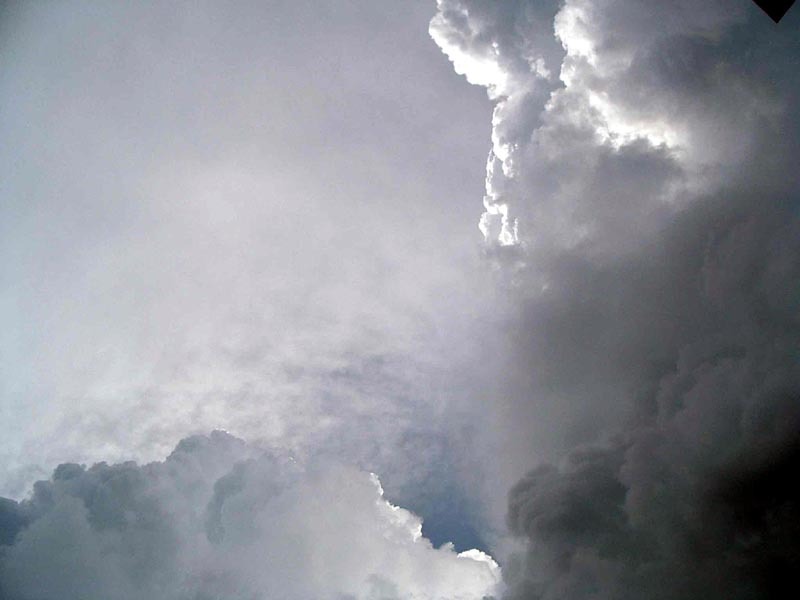 Each summer and into early fall, I notice an increasing number of viewers calling in to report funnel cloud sightings on days where atmospheric conditions would not really support a supercell environment. Were these viewer reports accurate or were the viewers really seeing a non-supercell funnel cloud? The answer to that question lies in the study of the cold core funnel. 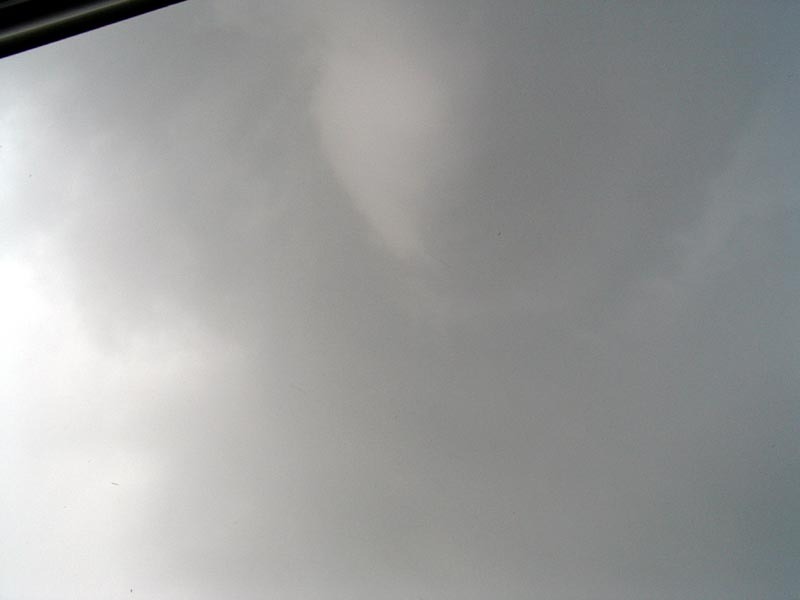 A cold core funnel is a vertically tilted rotating column of air under a rapidly growing convective cloud, but the atmospheric conditions are different than those conditions that produce typical funnel clouds or tornadoes. A cold core environment exists when low pressure is vertically stacked from the surface to 500 mb and is bounded by an area with a 700 mb temperature equal to or colder than +1C. Figure #1. Cold core low vertically stacked to 500 mb level. 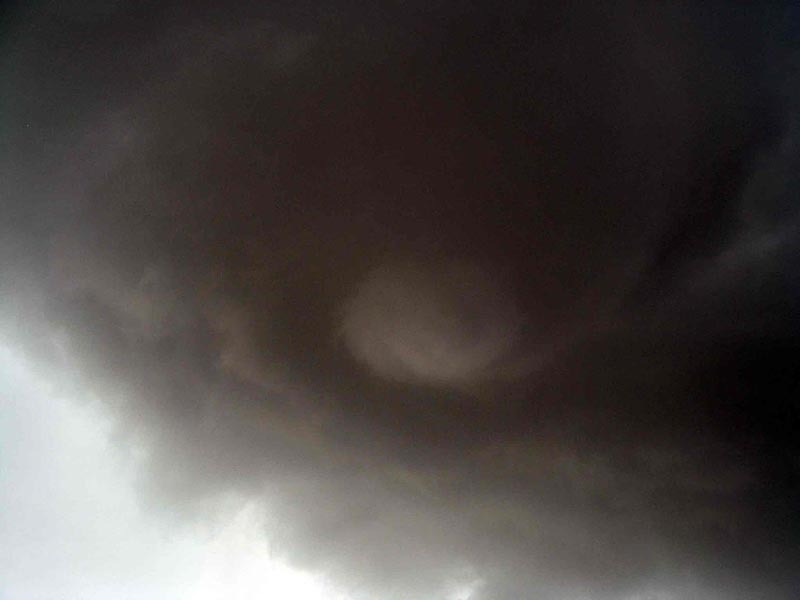 A funnel that forms in this environment is high based, meaning it develops well above the earth’s surface. This means cold core funnels rarely touch the ground (become tornadoes) but they can still look threatening, especially to the untrained eye. 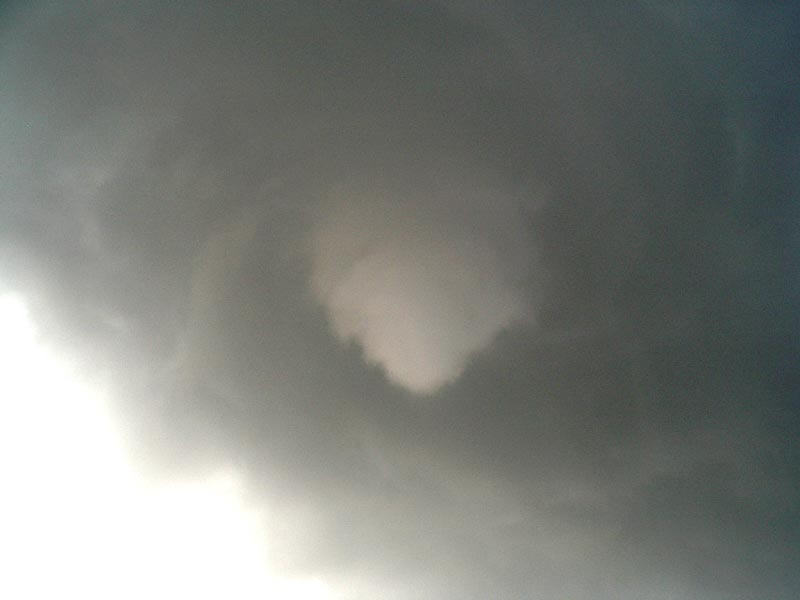 But these funnels occasionally do touch down to become weak tornadoes. Tornadoes associated with cold core events are typically F0 to F1 in intensity, but can still cause property damage and injuries. 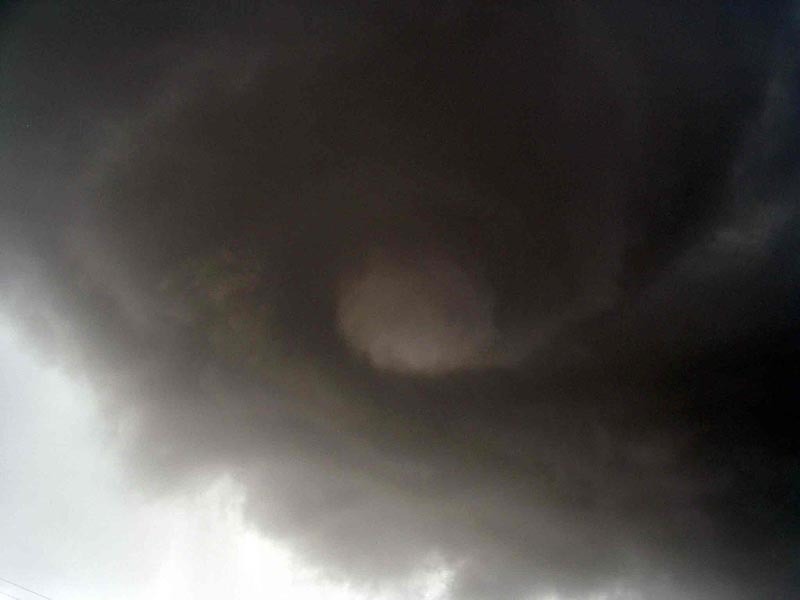 In the summer of 2002, there were 13 cold core events in Manitoba producing 7 reported funnel clouds and 1 tornado. Roughly half of the cold core events studied in the Canadian prairies in 2002 happened over sparsely populated areas, so it is likely that many of the funnels produced by these events went unreported. 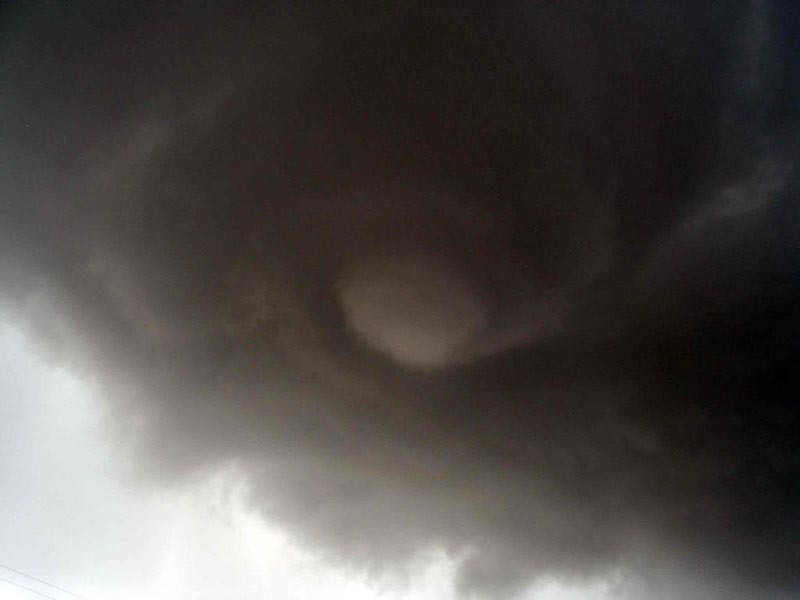 A typical tornado forms in a warm air mass that is part of an energetic synoptic environment, while a cold core funnel forms in a cool air mass that is part of a quiet, benign synoptic environment. 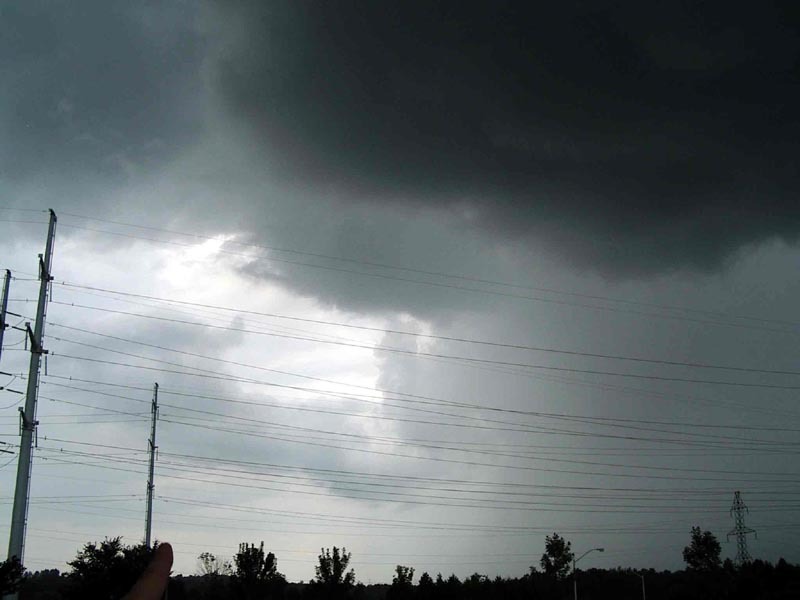 Cold core funnels usually form behind a cold front where there is enough instability and moisture to support towering cumulus clouds, but not much precipitation. When my weather office phone rings in late summer or early fall with an excited viewer on the other end shouting, “There’s a tornado coming out the bottom of a cloud,” I explain that it is just a funnel cloud if it’s not contacting the ground, and offer an abbreviated version of the following conditions. Cool and windy conditions probably exist in lower levels of the atmosphere mixing with air in the middle troposphere that is flowing in a different direction. This produces vertical speed shear and results in a rotation (vortex) on a horizontal axis. 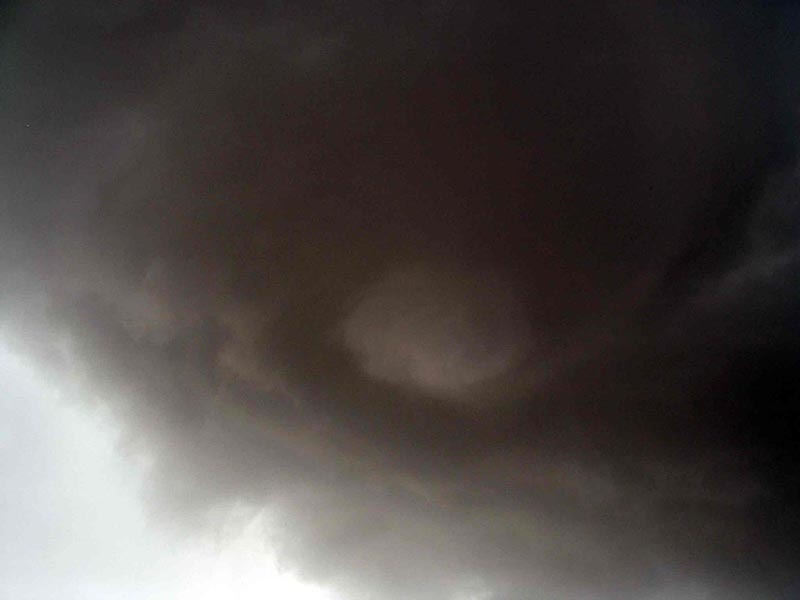 If that horizontal vortex comes in contact with an updraft under a convective cloud, the vortex is tilted upward, and rotation is now on a vertical axis. If there is enough moisture in the air, a condensation funnel will be visible. The initial circulation isn’t associated with a severe thunderstorm mesocyclone or a rear-flank downdraft; it develops from the surface up to the cloud base along a mesoscale convergence boundary. The initial stage of formation shows the horizontal shear across the convergence boundary resulting in the vortices labeled A, B and C. As cumulus clouds quickly develop along the convergence boundary, vortex ‘C’ has become entangled with an updraft under a towering cumulus cloud. This develops into a funnel under the influence of vortex stretching. It is typical for a cold core event to form due to weak dynamic forcing. 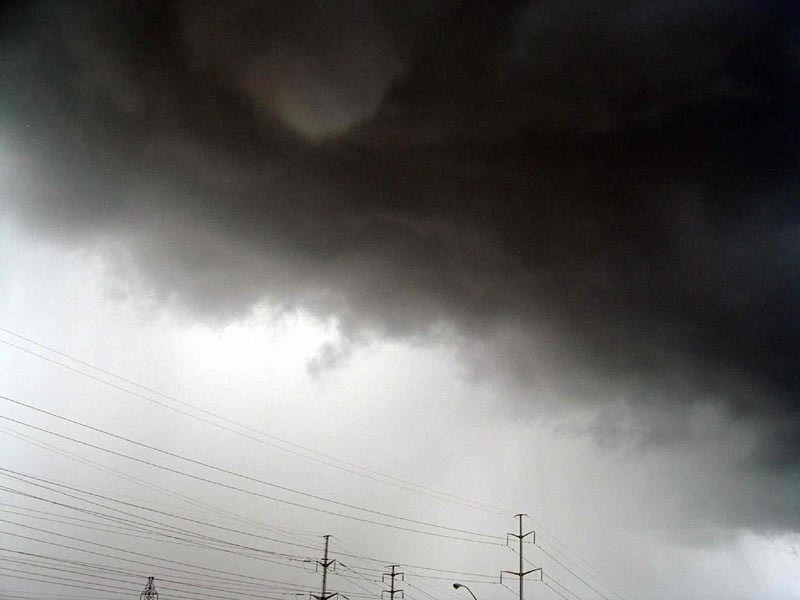 Wall clouds are rarely observed near a cold core funnel. 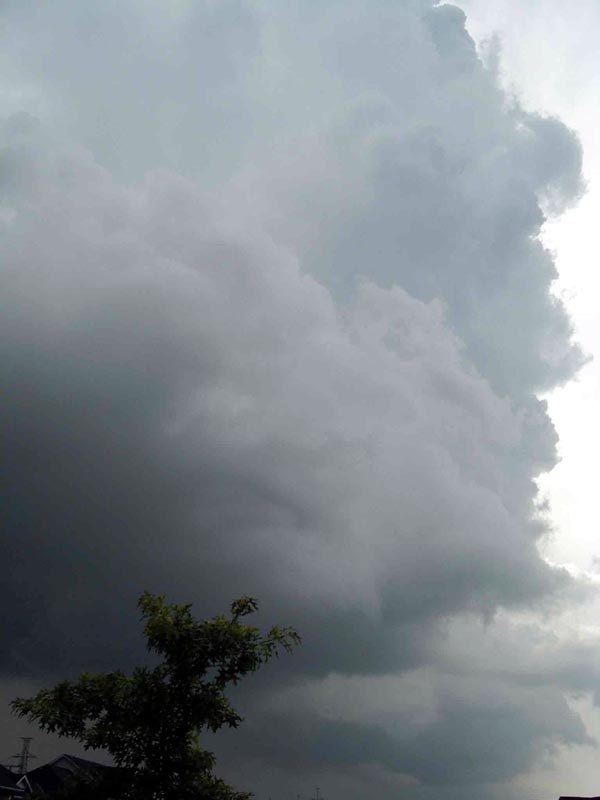 In most cases, the funnel will produce itself from a rapidly growing convective cloud that has a well defined cloud base, indicative of a strong updraft. The fact that a pronounced cloud lowering is absent suggests a mesocyclone is missing. The lack of a mesocyclone is the difference between the formation of the cold core funnel and the formation of a supercell tornado. The difficulty in forecasting cold core funnels lies in the fact that they form in a non-energetic synoptic environment. Therefore, it’s easier for meteorologists to anticipate a tornado formed by a supercell rather than one formed in a cold core environment. Also, these cold core events happen on a small scale (mesoscale) and are typically rather short lived. Synoptic scale model data doesn’t offer much assistance to a forecaster in the prediction of these events. 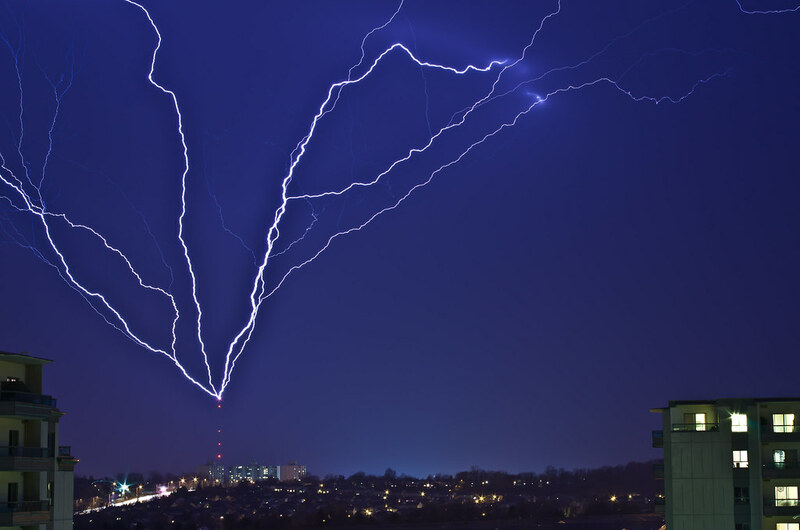 The resolution of numerical models and GRIB data is limited when it comes to forecasting the low level dynamics that result in cold core funnels. It’s up to the forecaster to look at and interpret data on the synoptic scale and use experience to find clues that lead to the formation of such events. 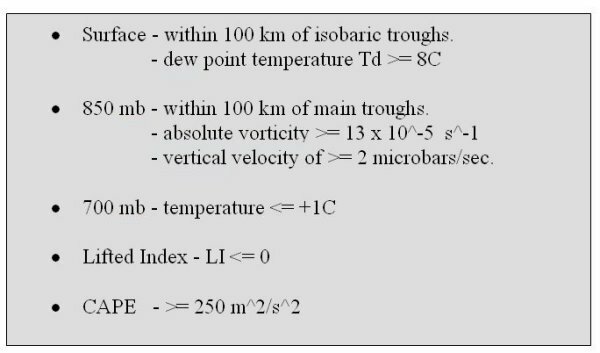 A forecaster will also find difficulty in recognizing the small low level circulations associated with cold core events on Doppler radar. The velocity signatures are very small and usually blend in with background noise. Reflectivities are also usually very small (0-30 dBz) which makes cold core funnel or cold core tornado detection using radar almost impossible. This difficulty in forecasting such events results in short , if any, warning times for the public and, as mentioned earlier, these cold core funnels do occasionally touch down and cause damage and injuries. The table below outlines the best fields to use when assessing cold core funnels or tornadoes. As forecasters, we can do a better job detecting these events by defining areas where cold core events may happen. This won’t really tell us which cloud could produce a funnel or tornado but may lead to earlier warnings to the public regarding the potential of a cold core funnel. Cold core funnels commonly occur where there is an enhanced updraft and low level vorticity so extra attention should be paid to cells that are associated with high reflectivities on radar. High reflectivities are usually linked to a strong updraft and vorticity. If a forecaster can find areas with evidence of a strong updraft and vorticity, earlier detection of cold core funnels may be possible. What makes late season cold core funnels slightly unique to southern Manitoba is the number of lakes in the region, including two very large lakes just north and northwest of Winnipeg. These lakes are still fairly warm in late summer and early fall which creates a strong thermal gradient between the lower and mid levels. This low level thermal support is an important ingredient in the recipe for late season cold core funnel clouds. Anderson, Jay: Professor, University of Manitoba. Formerly with Prairie Storm Prediction Centre, Environment Canada, Winnipeg, Manitoba.